Dental Management of Sleep Disorders focuses on the dentist’s role in treating patients with sleep problems, chiefly sleep disordered breathing and bruxism. 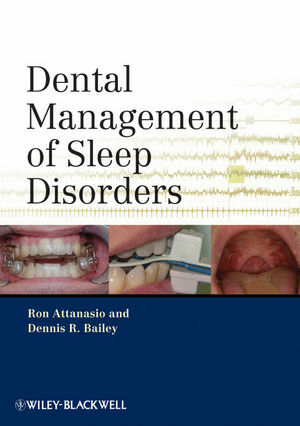 A practical clinical book, Dental Management of Sleep Disorders highlights the background to these problems, discusses the dentist’s role in their diagnosis and treatment, and outlines clinical strategies and guidance. 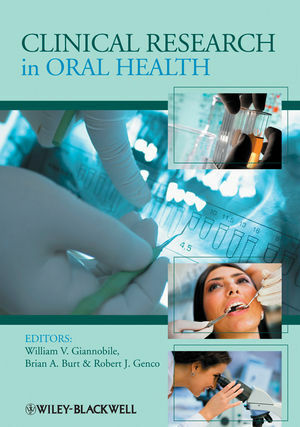 The book features a full discussion of the use of appliances, an overview of current treatment modalities, and investigates the relationship of sleep disorders to dental and orofacial causes. Dr. Ronald Attanasio, DDS, MSEd, MS is Professor and Director of the TMD and Orofacial Pain Clinic at the University of Nebraska Medical Center-College of Dentistry in Lincoln, Nebraska. He is past President of the American Academy of Orofacial Pain, and his faculty practice at the College focuses on TMD, orofacial pain, and sleep related breathing disorders. Dr. Dennis R. Bailey, DDS is a diplomate of the American Board of Orofacial Pain and past President of the Academy Dental Sleep Medicine. His private practice focuses on sleep apnea, snoring, TMD, and sleep disorders in adults and children. Section 1 OVERVIEW OF SLEEP MEDICINE. 1. Impact of sleep disorders on society. 3. Classification of sleep disorders. Section 2 ASSESSMENT OF THE SLEEP-RELATED BREATHING DISORDER PATIENT. 7. Evaluation by the dentist. 8. Imaging for sleep-related breathing disorders. Section 3 MANAGEMENT OF THE SLEEP-RELATED BREATHING DISORDER PATIENT. 9. Positive airway pressure therapy for sleep-related breathing disorders. 10. Surgical treatment for sleep-related breathing disorders. 11. Oral appliance therapy for sleep-related breathing disorders. Appendix 1: Abbreviations for sleep medicine. Appendix 2: Glossary of terms for sleep medicine.